Caterpillar Inc., the world's largest maker of mining and construction equipment, announced 5,000 new layoffs on top of several earlier actions. WASHINGTON – It's already been a lousy year for workers less than a month into 2009 and there's no relief in sight. Tens of thousands of fresh layoffs were announced Monday and more companies are expected to cut payrolls in the months ahead. A new survey by the National Association for Business Economics depicts the worst business conditions in the U.S. since the report's inception in 1982. Thirty-nine percent of NABE's forecasters predicted job reductions through attrition or "significant" layoffs over the next six months, up from 32 percent in the previous survey in October. Around 45 percent in the current survey anticipated no change in hiring plans, while roughly 17 percent thought hiring would increase. The recession, which started in December 2007, and is expected to stretch into this year, has been a job killer. The economy lost 2.6 million jobs last year, the most since 1945. The unemployment rate jumped to 7.2 percent in December, the highest in 16 years, and is expected to keep climbing. "Job losses accelerated in the fourth quarter, and the employment outlook for the next six months has weakened further," said Sara Johnson, NABE's lead analyst on the survey and an economist at IHS Global Insight. Thousands more jobs cuts were announced Monday. Pharmaceutical giant Pfizer Inc., which is buying rival drugmaker Wyeth in a $68 billion deal, and Sprint Nextel Corp., the country's third-largest wireless provider, said they each will slash 8,000 jobs. Home Depot Inc., the biggest home improvement retailer in the U.S., will get rid of 7,000 jobs, and General Motors Corp. said it will cut 2,000 jobs at plants in Michigan and Ohio due to slow sales. 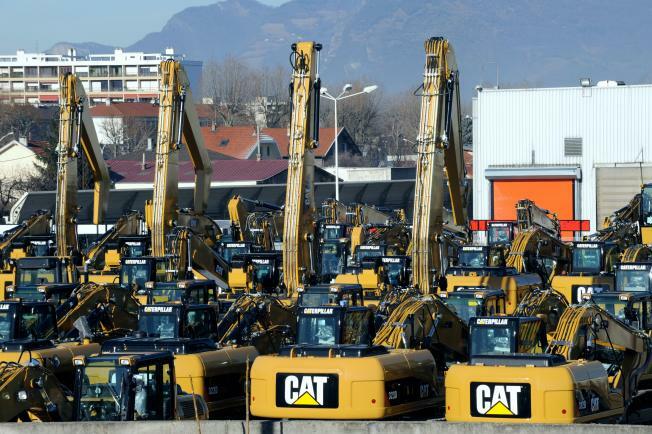 Caterpillar Inc., the world's largest maker of mining and construction equipment, announced 5,000 new layoffs on top of several earlier actions. The latest cuts of support and management employees will be made globally by the end of March. An additional 2,500 workers already have accepted buyout offers, and ties have been severed with about 8,000 contract workers worldwide. In addition, about 4,000 full-time factory workers already have been let go. Just last week, Microsoft Corp. said it will slash up to 5,000 jobs over the next 18 months. Intel Corp. said it will cut up to 6,000 manufacturing jobs and United Airlines parent UAL Corp. said it would get rid of 1,000 jobs, on top of 1,500 axed late last year. The NABE survey of 105 forecasters was taken Dec. 17 through Jan. 8. Also in the survey, 52 percent said they expected gross domestic product to fall by more than 1 percent this year. GDP measures the value of all goods and services produced within the U.S. and is the best barometer of the country's economic fitness. The last time GDP fell for a full year was in 1991, a tiny 0.2 percent dip. The economy shrank by 1.9 percent in 1982, when the country was suffering through a severe recession. Forecasters have grown more pessimistic about the outlook. In the October survey, no forecaster thought GDP would fall by more than 1 percent. In terms of business conditions, more reported customer demand dropping, capital spending reductions and shrinking profit margins. Peoria, Ill.-based Caterpillar also reported Monday that its fourth-quarter profit plunged 32 percent. The company expects sharply lower results this year as global economic problems cut into its business. Altogether the NABE report "depicts the worst business conditions since the survey began in 1982, confirming that the U.S. recession deepened in the fourth quarter of 2008," Johnson said. Many analysts predict the economy will have contracted at a pace of 5.4 percent in the fourth quarter when the government releases that report on Friday. If they are correct, that would mark the worst performance since a 6.4 percent drop in the first quarter of 1982. The economy is still contracting now — at a pace of around 4 percent, according to some projections.